After reading the scoop from Bloomberg about Google RankBrain, learning more about it in-depth from expert opinions, and reflecting on how we can use this for our clients I think it‘s time for me to explore it further. 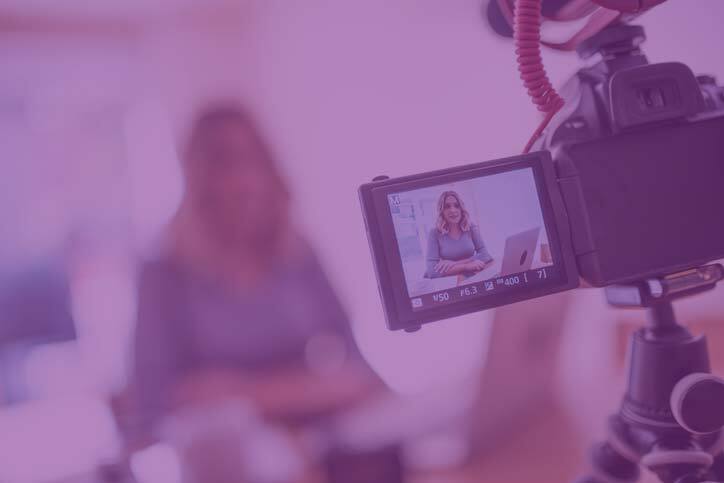 A major update from Google is a serious matter for digital marketers, so understanding how it works and its effect on SEO is crucial for us to continually provide our clients at Webbuzz with the latest and most potent online strategies. So let’s take a closer look into Google RankBrain and understand how it could affect your presence online. RankBrain is the new artificial intelligence (AI) of Google that is now processing more or less 15% of daily searches. The tech giant confirms that this rollout is part of their goal of better understanding the ambiguous queries that their search engine receives every day. But don’t reach for your lifeboats yet! RankBrain is not a major algorithm update like Panda and Penguin, which changed the face of search in 2012. This new AI system is not replacing the Hummingbird, which is the present algorithm of Google. Technically, RankBrain is just one of the many signals used to match the results to a search query. Google even cited RankBrain as the third most important signal. What are the top two signals? Google declined to answer that from the Bloomberg report, but we can guess that those two are links and quality of the content. The AI of RankBrain comes in the form of vectors, which are readable by computers. If presented with ambiguous search, RankBrain will guess at the meaning of the query and filter results according to its guess. So when will this AI system be implemented? Google confirms that it has gradually rolled out the system “several months ago”. So most probably you have already experienced receiving search results guided by RankBrain. Below is a given example of a search query that demonstrates the power of this AI. 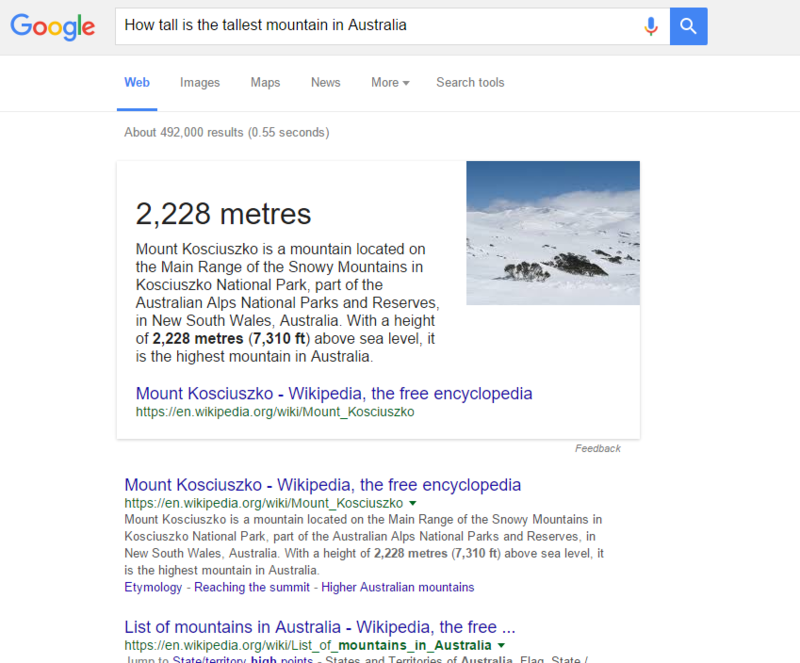 Take a look at how Google responds to the search query “How tall is the tallest mountain in Australia”. So by connecting the dots, RankBrain guessed that the query is asking for the height of Mount Kosciuszko in NSW and automatically displayed the result as shown above. If your website or blog is updated with fresh, high-quality, and relevant content, you will win the SEO game under the rules of Google Hummingbird. 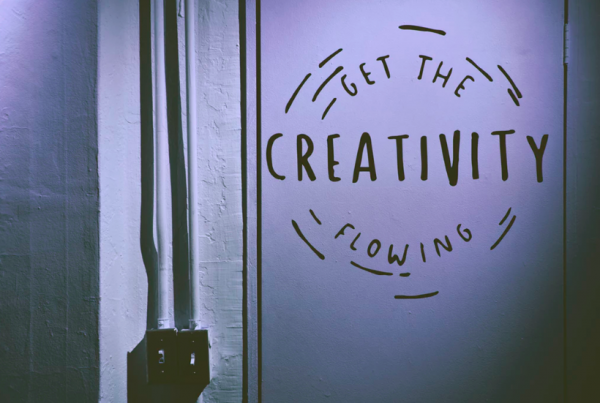 And with RankBrain, you can now have the chance to be more creative with your content by using word play and more natural language variations. The good thing is, you can eventually stop counting keyword density as well as awkward anchor text such as “financial advisor Sydney” or “SEO service Melbourne”. I am an expert when it comes to mortgage financing and it just so happens that I decided to use digital marketing to find leads for my business. Yes, I have attended Google Masterclass (Related Post: 6 Things I Learnt About Your Business at Google Masterclass) and I have become kind of an expert in SEO. I like the Hummingbird algorithm, because it can understand the suggested meaning of phrases and group of words (semantics), so SEO practitioners like me can use content as our competitive advantage against companies who are using their dollars to buy links to improve their page ranks. RankBrain leverages the power of semantics even more so relevancy and quality of content are more important than ever. Microdata such as HTML tags mark up your web content. It helps the search engines to better understand your content without the need to crawl the whole page. Microdata has found its significance with the Hummingbird algo, but RankBrain underscores its importance. Using h-tags for your page content will allow the search bots to crawl your page easier, so your ranking will be better. While RankBrain is an important update from Google, there’s no need to worry about your page rank, especially if you are playing the SEO game according to Hummingbird rules. RankBrain helps in refining search query so it can provide users with better results. In fact, if you have been providing content that is fresh and relevant, you have better chance to boost your rank and find customers online. 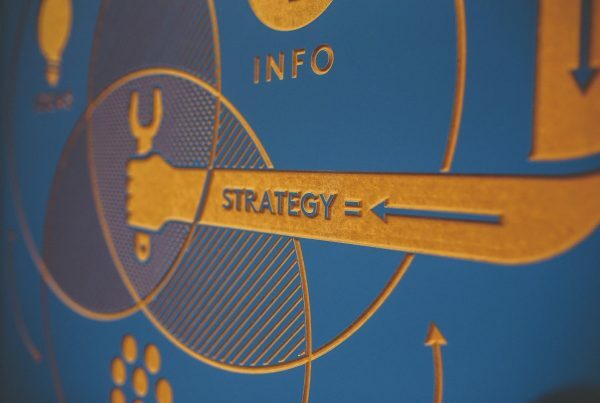 Continue using h-tags, and still include relevant keywords. Remember, SEO is not dead! Include customer reviews in your website, and make certain that they are crawlable by search engine bots. Previous PostDeath By Algorithm: Is Your Business Next?